So im started to build my first Weapon (MP41) and already have a question. Is that enough geo for the low poly stock or maybe to much, and what about my meshflow? Especially at the bottom and on the side where I have the notch. Hi mate,all looks good to me. It might not be 100% necessary but since you asked I think you can add extra edges at each segment in the back. You could connect them where I indicated it with yellow. The reason for that is that you don't need to have those edges go all the way through, it won't change anything on the silhouette other then looking at it from the back and you want to have it nice and round there. If you look at it from the actual side it looks round enough and I see you also have enough edges at the first person view area which is exactly what you want to have. So that would be my only recommendation here to give it a bit more of a roundness from the back for which you can use "flow connect" in the ribbon. Ok , thanks for your advice . I think i just finished the Stock. Good work yes! 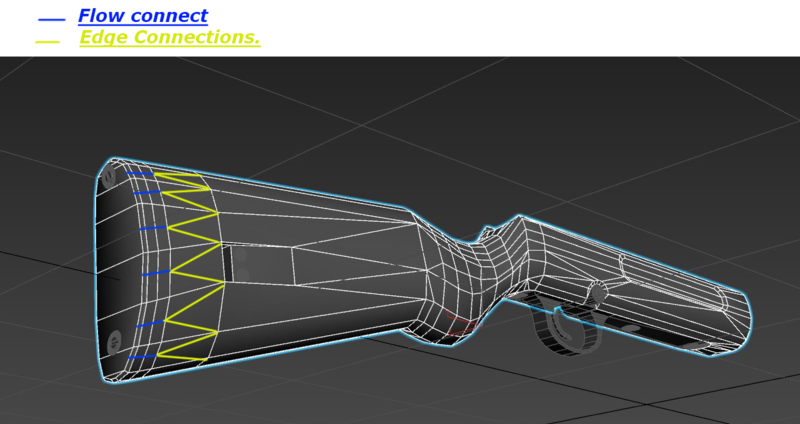 Clean modeling and wireframe view and all the right details in place so far. Look forward seeing it shape up! Hey guys i have a Problem, how do i fix this problem in Picture 3. I want a smooth result and not this hard transition. 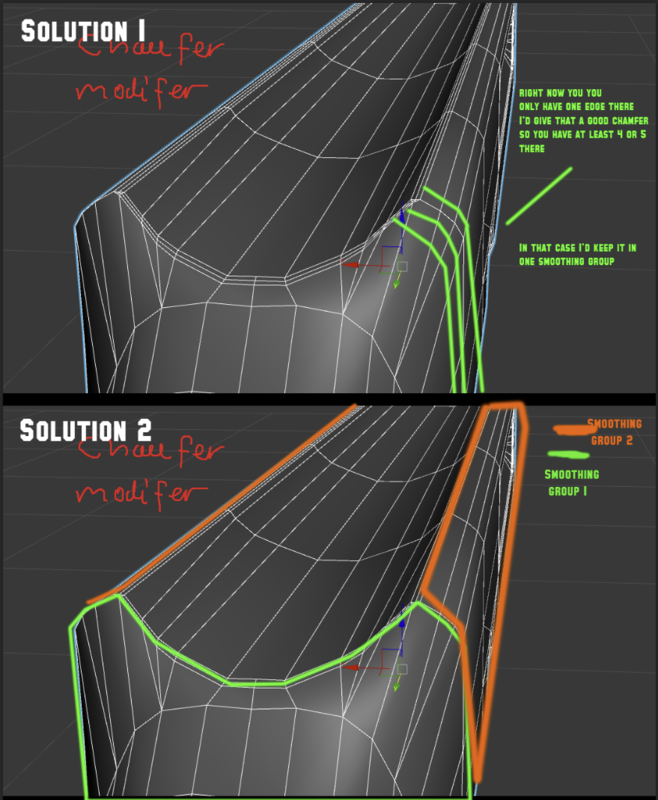 I see what the problem is.. the way you have it right now you use one smoothing group so that will certainly cause some triangulation problem at that curved area.